Sang, or Samsang, comprises four pavilions at the four corners of the Royal Crematorium base. 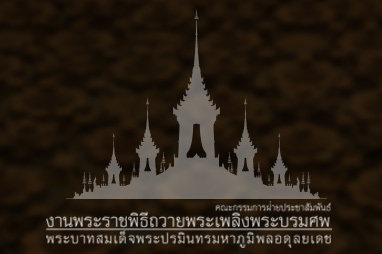 They are meant for monks who chant scriptures at the ceremony from the time the royal remains are placed on the funeral pyre until His Majesty the King performs the Royal Cremation Ceremony. Four shifts of monks are employed for the task.